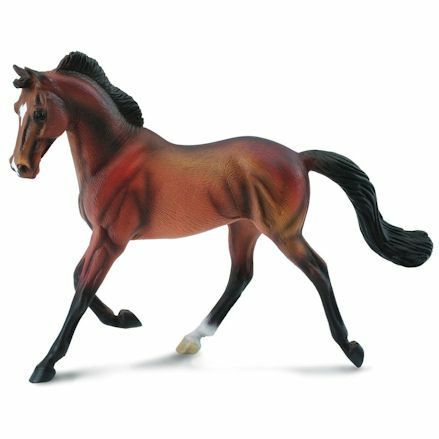 Collecta produce some of the finest plastic model toy horses currently available, each and every horse is produced from a highly detailed sculpture cast. This in turn creates a realistic, intricate model horse hand painted to represent the breed beautifully and accurately. Collecta horses may not currently stand up well against toy horse makers Schleich and Breyer, Collecta present a wonderfully produced child's model horse with no-less quality present in their rival toy horses. 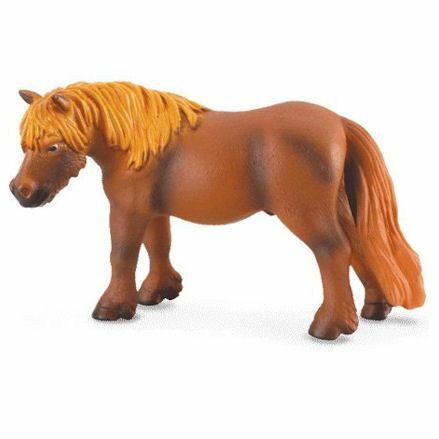 All together Collecta toys offer a range of ten horse breeds with an additional pony breeds made from a solid, but durable plastic and hand painted to the finest detail. Each Collecta horse is made in a scale similar to 1:24 and fits in well with their farm life range and stands up well close to the Safari Ltd horses. As the main horse sculpture for Collecta, Deborah McDermott produces original sculptures where the painting is finished by professional artists. As of 2012, there are currently 56 items from the Collecta horse catalogue to find and collect over time. The Appaloosa horse is a breed most recognizable for spotted coat pattern with a wide variety of body types from small to large and slender. The breed have lots of uses today including American western and English riding. Collecta Appaloosa horses includes 2 mare with one in chestnut the other in black. 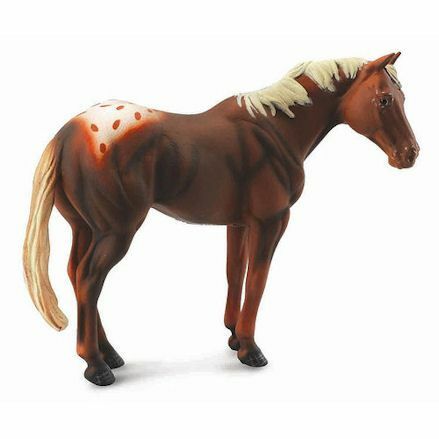 Your Collecta toy appaloosa are exact replica's with beautifully finished coats that's sure to impress. The Appaloosa has plenty of uses, take her to the Western show or something a bit more traditional, such as English show jumping and eventing. Clydesdales, or Clydes as they are also known as are a breed of farm horse from Clydesdales in Scotland, UK and named after that region. As a type of draught horse, they share a very similar stature of a Shire horse. Today, Clydesdales lead parades on streets and are able to take saddles for leisure riding. Collecta Clydesdales includes 2 mares and 2 stallions finished in beautifully painted coats. 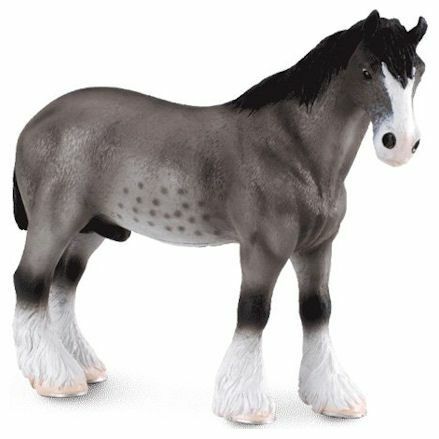 Toy Clydesdale horses are a real treat for the young ones, and represent the breed perfectly. 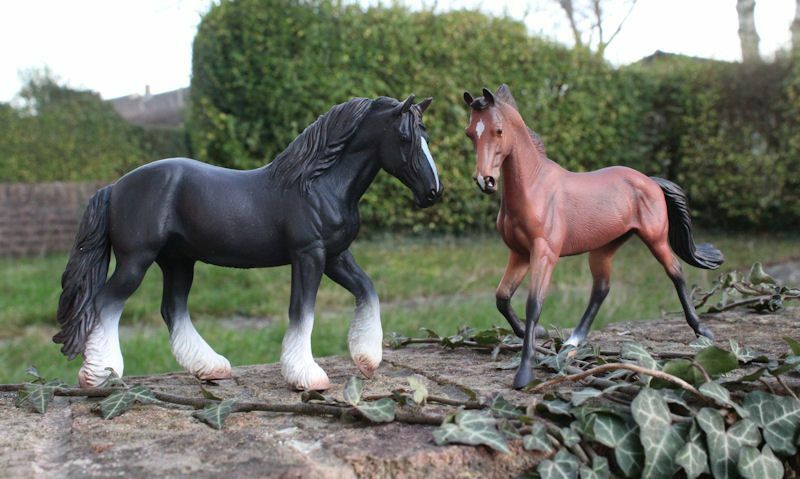 Add your Collecta Clydesdale to the farm stable or stable yard and use them for leisure riding. The Friesian horse breed originated from Netherlands as a type of light draught horse finished in a sheer black coat with a long thick mane and tail. The Friesian breed has plenty of uses today including pleasure riding and taking it's stand in various equestrian competitions including dressage. The breed has also made an impact on screen appearing in many movies. 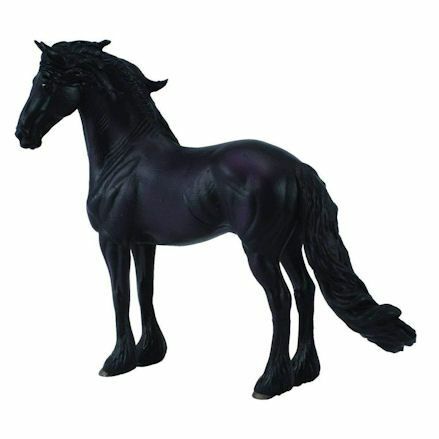 Collecta supply one replica Friesian horse that looks like the real thing from his body type to its thick mane and tail. If you need a horse for equestrian shows, this Collecta toy Friesian horse is all you'll need for all competitions. Hanoverian is a breed of horse originating from Germany, and a breed often seen in the Olympics today and English riding competitions such as dressage and show jumping. They have come a long way from the use as a carriage horse back in the day. Current available Collecta Hanoverian horses includes 2 stallions with 1 finished in a bay brown and the other in chestnut. The Collecta Hanoverian is a perfect sculpture detailing the distinctive features the breed has to offer. Collecta toy hanoverian horses are a must when you need a horse for various equestrian events and pleasure riding. The Lipizzan, or Lippizzaner is a breed of horse originating from Spain and is most known for their distinctive white coat. The Lipizzaner is sure to be a popular choice as Collecta produce fewer more of the Lipizzan horse than any other breed. This could be the Collecta Lipizzan features an almost fantasy like characteristic from the sculpture and will sure win over a few hearts. Introduce this Spanish horse breed to the stable for recreating Spanish like equestrian shows in eventing and show jumping. 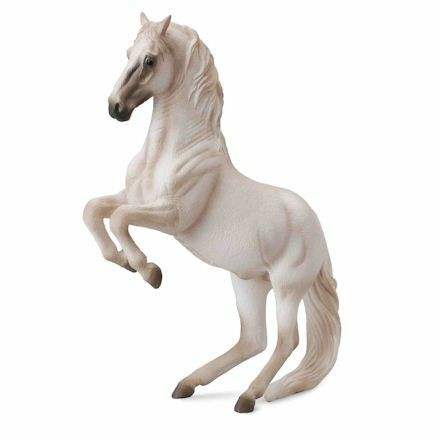 Collecta currently offers 2 stallions and 1 mare in white with 2 foals in black. A Mustang is a free-roaming, or wild-horse of North America. Well the Mustang may not offer much in terms of riding, introduce a wild horse for roaming your American style ranch or stable well chasing him across the vast mountains and country on horse back. 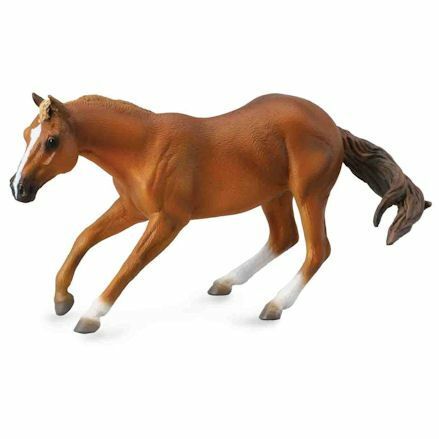 With five Collecta Mustang to collect, the Collecta toy Mustang horse does take on slightly different characteristics to the real life horse. Bring your toy equestrian scene to life with a family of Mustangs roaming free around your stable and pasture. The American Quarter Horse is an American breed of horse with an excessive speeds at a short distance. The Quarter horse comes in various colours but most notably white and brown. The breed has many uses such as a show horse, race horse, rodeo, and ranch horse. 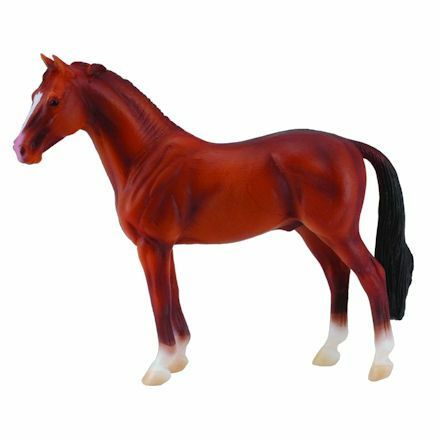 With Collecta producing a very similar replica, you'll find the whole toy American Quarter family including 1 stallion, 2 mares and 2 foals. 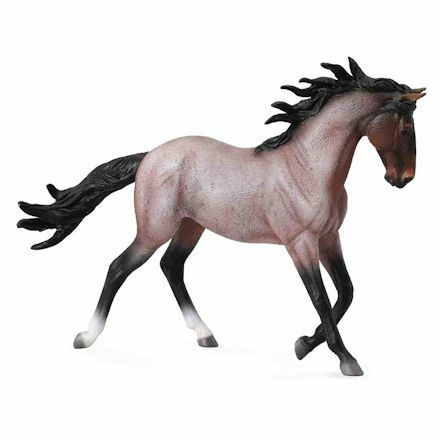 Your choice of Collecta Quarter horses presents an option to collect the family for pleasure or take the mares and stallion to equestrian events like showing jumping to win medals. The Shire horse is a breed of draught horse and available in various colours. The Shire is a large horse which is why they were used as farm horses back in the day. Today, Shire horses are used for shows, forestry work and leisure riding. 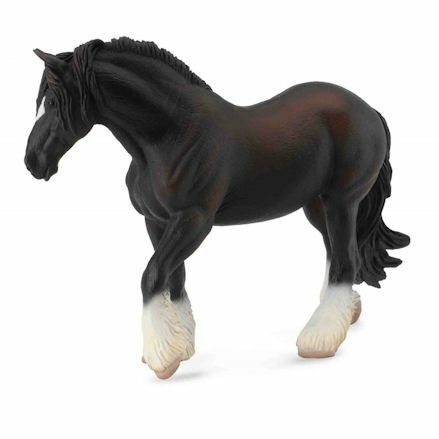 The Collecta Shire horse family includes a black pinto stallion, mare and foal with a black Shire mare and foal also available. The Collecta Shire's are a real nice replica all standing tall and proud. Use your Collecta Shire horse for riding in the mountains or trotting around the pasture for fun. The Tennessee, Walking horse is a breed of riding horse originating from the state of Tennessee, USA. Although this breed rarely get involved in sport riding they can compete in in trail riding and western riding in harness. Collecta Tennessee Walkers include 2 stallions and 1 foal made from very accurate sculptures of the breed and finished in various colours. 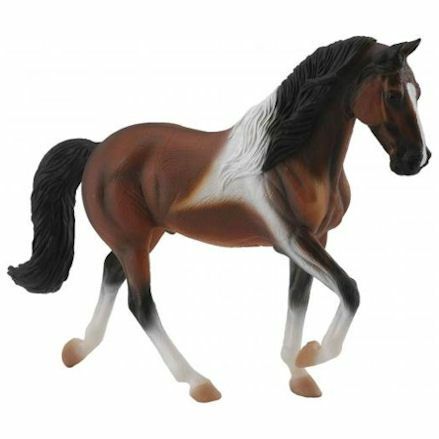 Add a Collecta toy Tennessee Walking horse to your collection for a whole new style of riding. Bring them up in the stable and allow the family to run free in the sunny pasture during the day. The most notable breed of horses to most English riders comes the Thoroughbred horse known for use in horse racing, show jumping, eventing and dressage. Collecta provide a wonderful selection of toy thoroughbred horse among them 1 Collecta Thoroughbred standing and 2 mares, one in brown the other in black. Introduce the whole Thoroughbred family to your stable if you'll looking to create a very traditional English stable scene. You may also like to use a Thoroughbred mare for various equestrian events or just pleasure riding. Although Collecta don't currently offer a huge range of toy ponies they sure do offer one with heart and soul. Welcome the Collecta Shetland pony in a chestnut colour to your stables. The Shetland pony is a breed of pony originating from the Shetland Isles in the UK. With most breeds, ponies can be ridden by children and showed at events from both adults and kids. You'll most likely see a pony in the UK at fairs and carnivals and petting zoos. Collecta ponies are a little smaller than the horse but can be introduced to most horse breeds as a new pal.